We will scout before season and try to harvest the largest antelope we find. Elk hunts are seven days. All big game hunts can be tailored to meet your needs. Predator hunts are usually one to three days in duration. Field transportation is provided. Upland hunts are usually one to three days in duration. Field transportation is provided. Waterfowl hunts are usually one to three days. Field transportation is provided. Mountain Man Outfitters was officially started in 2008 by me, Master Guide Michael John Jurad. Prior to starting Mountain Man Outfitters, I was a licensed sub-guide for four years. I am a third generation Nevadan born and raised in Lovelock. I was brought up in a pro hunting, fishing, trapping family. A respect for the outdoors was instilled in me from an early age. Outfitting is not a job for me but a lifestyle. MMO is a family-run business. Therefore, all guides operate on the same code of ethics. We bring a weatlh of knowledge to the field from a lifetime of outdoor adventures. If you are considering an outfitter, you need to be confident that your choice will be one that is dedicated to your success. 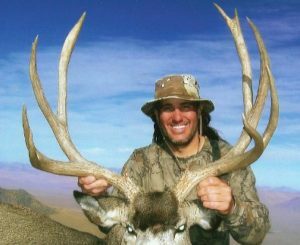 You’ll want a team that is experienced in hunting Nevada, and truly has the passion, dedication, knowledge and perseverance it takes to locate and harvest a trophy animal. Going into the 2017 season, our guides will have over 120 years of combined Nevada hunting experience under their belts. 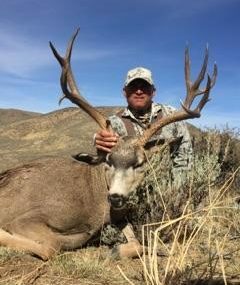 We believe our experience is second to none, and we stand ready to guide you to success on your Nevada hunting adventure. 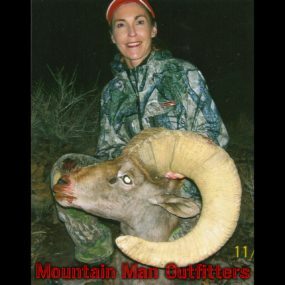 Mountain Man Outfitters is dedicated to our clients’ success, whatever the trophy may be. We will hunt your tag as if it’s our own. High-end optics are used to ensure that no quarry goes unspotted. Note! By applying with us in the Non-resident Guided Deer Draw, your odds of drawing a coveted trophy tag and harvesting a trophy-class deer are exponentially better than applying in the regular draw. Proof of Hunter Education is required. You can pre-register proof on the NDOW website. We often go from hunt to hunt, so we do not have time to transport your animal to the taxidermist. Nor do we have the facilities to store it. You will need to deliver your animal to the taxidermist yourself. Whatever else we can do to help make your hunt successful. Mission Statement — To conduct business in an honest and professional manner, and to provide quality hunts and outdoor experiences our clients will enjoy.